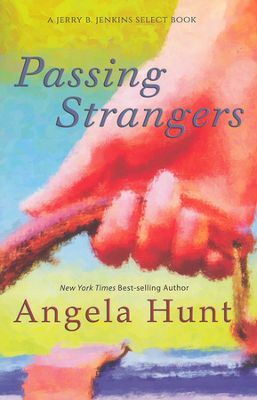 Angela Hunt never fails to provide a delightful story and Passing Strangers is no exception. In a great twist of authorship, she tells of the lives of three different people. As the three meet on a ten-day train trip, they not only encounter each other, they find friendship, healing and the courage to do what they need to do. In the first story, Andie Crystal is forced to take a vacation from work by her boss. A complete workaholic, Andie is content to keep busy and live alone. She’s known a life of publicity and fame and wants nothing to do with that world again. When she is contacted by her attorney and told her mother is ill, Andie wrestles with old ghosts and the unforgiveness that has allowed her to reinvent herself. Old wounds and losses surface and demand attention. Andie must decide if she will give them the attention that is long overdue. If she acknowledges the ghosts of the past, she might lose everything she has worked so hard to obtain and protect. In the second story, Matthew Scofield, widower and father of two, boards the train to spend time with his children and visit his mother. After the loss of his beloved wife only a year ago, Matthew has immersed himself in his law career while neglecting his duties as a father. When the last babysitter has had enough and quits, Matthew knows he has got to work on a new plan in caring for his children. Being a driven and diligent man, he knows the value of hard work and wants to succeed at being a lawyer. With the right amount of money and prestige, he can offer his children all of the things he never had but that requires extra long hours at work and he can’t do that with two children and no mother. When he arrives at his mother’s house unannounced he has perfected his plea for his mother’s help but is flabbergasted when she doesn’t react the way he anticipated. Matthew comes face to face with his inadequacies as a father, his career goals and the loss of his wife. In the third story, we meet Janette Turlington. She has boarded the train to run away from her life. With a black eye barely concealed, she tries to ignore the life she’s left behind and gather the courage to start over. But her heart is torn between the pain of her home life and the unknowns of the future. She is able to help others with advice but she has none to offer herself. Her faith gives her hope but she’s worn down by life and overwhelmed beyond measure. When she meets a strange new friend, he provides the wisdom she has been longing for. Passing Strangers is a fantastic read with not only a great story but thought provoking messages as well. Angela Hunt is a wonderful author and I can honestly say I’ve never been disappointed in her books. I can say that Passing Strangers is a notch above the rest. Definitely a must read!